Let me just start by saying that there is no mystery to why Saloma left the Amish. She simply was not committed to the Amish culture or belief system. She was born Amish, but just wasn't Amish, if you know what I mean. I can think of no better reason to leave than that. Just as someone's spiritual journey may lead them to an Amish church, her journey did not. But I don't mean to diminish the complexity of her decision to leave, because nothing about the plain and simple life, is ever really simple. Two things struck me right away about this memoir. It is painfully, honestly written. Saloma leaves no stone unturned, and shows a commitment to maintaining the integrity of the definition of a memoir. Nothing is romanticized. There are no unanswered questions here, and Saloma does not hide details, nor her emotions, nor the memories that led to her painful decision to leave. She shares openly and freely. The other feeling that the book gave me is one of great care. Her story is retold so thoughtfully, with great tenderness. I know I wasn't the easiest child to raise. I am also sorry for the guilt you and Mem have shouldered all these years for the choices that I, as your grown daughter, made in leaving the Amish. I made the best choice for me, and I don't feel you and Mem should feel guilty for that. The memoir is told in the alternating narratives that recount both her return to the community after her father's death, and her years growing up into adulthood with a mentally ill father and cruel brother, in a community indifferent to the needs of the neediest among them. Yet, her family's dysfunction and parent's shortcomings are overridden with a wave of love. In every descriptive nuance, I could feel Saloma's love and respect for her Mem and Daed in all their imperfection. If an Amish parent's wish would be to raise children filled with love and forgiveness, Saloma's parents would have succeeded. Sadly, the wish of many Amish parents is to raise Amish children who "join church", a goal that is often seen as more important than addressing the character struggles of their children. Yet, the story is not told in a way that conveys revenge or vindictiveness. The events are retold with a tone that is matter-of-fact. There is no agenda, only the author's own thoughts and feelings on the impact of past happenings. The writing style is clean and descriptive, and this may be the first ever professionally edited and published memoir on the topic of leaving the Amish. But with interest in the Amish riding high, it won't be the last. Saloma notes that she would have needed an entirely different personality in order to fit in with the Amish culture, her home community. Indeed, her questioning nature and intellectual curiosity would never have served her well, attributes that her Mem recognized. Oh Saloma, you make it so hard on yourself by asking questions, she lamented. In the last fifty pages of the book, the desperation intensifies as Saloma's home life becomes unbearable, her community continuously apathetic, and I keenly felt the suffocation of needing to leave a situation in which there is no easy way out. Gasping for breathe as she makes her exit, a satisfying ending finds Saloma finally fitting in. Arriving in a new community of academics, she finds peace and acceptance. There, the learning she so hungrily craved is finally satiated in a world of books, discussions, and ideas. At the end of the book, Saloma is finally home. 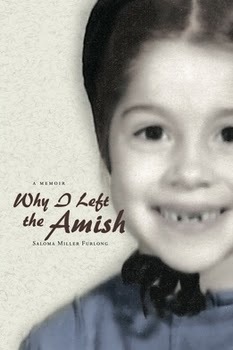 Note: Why I Left the Amish by Saloma Miller Furlong (Michigan State University Press) will be released on January 11, 2011. Visit Saloma's website for more information. 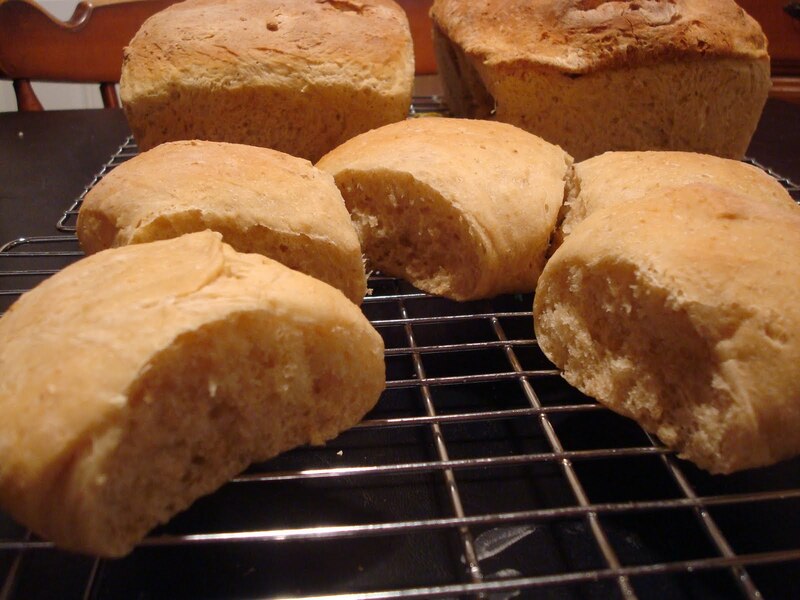 Also, check out her recipe for oatmeal bread here, which is exceptional, and produced the closest thing to professional quality bread ever to come out of my oven. 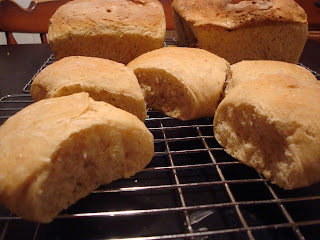 Her finely detailed and accurate recipe is easy to follow, and well worth the effort. Nice review Monica, and sounds like Saloma has written an interesting book. I will be watching for this to hit the stores! I can hardly wait to read her book. I have been following her on her blog. Her story needs to be told for so many reasons. A well writen review and I will be looking forward to her book in January. I enjoy your blog as well as Saloma's. This book is definitely on my list of books to read.